Planar Lightwave Circuit Splitter is an optical distribution device based on the waveguide technology. 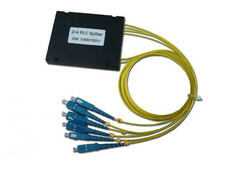 It is made of a silica plate with compact construction, can be operated on a wide range of wavelength with reliable performance and uniformity, particularly suitable for the connection from central office to the optical network termination in passive optical network, i.e. BPON, EPON, GPON, etc. KEYENCE Singapore provides Controls; Products used for machine control including counters and programmable logic controllers.